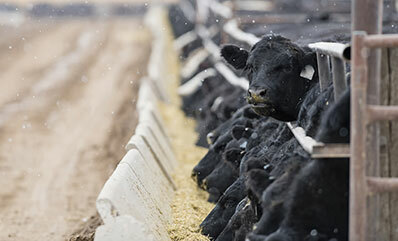 Learn what it would cost you to insure your herd against price decline. To get started, choose your livestock type. Provides up to 10 years of the expected end values and actual end values used by LRP for similar endorsement lengths. This information shows historical market trends during the period you are considering insuring. Calculates up to a 10-year historical comparison of LRP premiums and indemnities for each endorsement offered. This calculation is based upon the current cost of LRP. What is the Livestock Risk Protection Program (LRP)? USDA’s Livestock Risk Protection (LRP) insurance is designed to insure against declining livestock market prices. You may choose from a variety of coverage levels and insurance periods that match the time your livestock would normally be marketed (ownership may be retained). USDA updates LRP choices daily based upon market prices. For more information, details, or a quote visit an insurance agent. Who are Ranchers Insurance LLC and Livestock and Dairy Insurance Solutions LLC? There are a lot of USDA approved insurance agents, but few who focus solely on the needs of livestock producers. 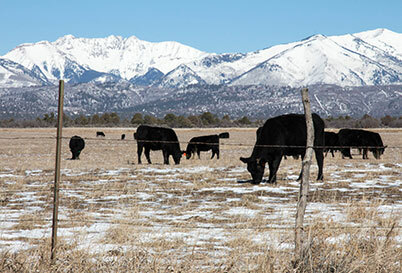 Our only focus is helping livestock producers protect their bottom-line with USDA’s new livestock insurance policies. If you have any questions about the LRP Calculator, the Livestock Risk Protection plan of insurance, or are considering purchasing LRP call Brandon Willis at (435) 213-0463. The LRP Calculator is an education tool. It does not provide Livestock Risk Protection (LRP) quotes. For a quote, visit with a crop insurance agent. Every effort has been made to provide up-to-date and accurate information, however, LRPCalculator.com, Ranchers Insurance LLC, and Livestock and Dairy Insurance Solutions make NO warranty, express or implied regarding the information or assumes any legal liability or responsibility for the accuracy of information on this website. User bears full responsibility for any decisions made regarding LRP.